Why Do We Need Scrap Yards? No matter the profession or business, there’s always some type of waste stream leftover. Whether you’re in the restaurant business and have leftover food, or the education profession and have leftover paper from an art project, there’s always some type of waste. This is where scrap yards come in! The big purpose of a scrap yard is to buy scrap metal so it can be pulled out of a waste stream. The scrap yard will buy the material (usually by the pound or sometimes by the ton) and will pay you depending on the material. This makes it possible for the scrap metal to be melted down to create new products. The less waste we have, the better off the environment is. Before you haul over your load of scrap to the metal recycling yard, it’s beneficial if the scrap is separated for faster service and a quicker exchange. Here are a few tips for before you leave for the scrap yard. 1. Put your scrap in boxes. For smaller pieces of scrap it’s easier to put your articles into a box or bin in order make loading and unloading easier. This also makes it easier to distinguish between metals. If the metal is organized, putting a price on your collection becomes an easier task. 2. Not only should you put your scrap metals in boxes, but you should also separate your wires. You will probably have wire that is both stripped and unstripped. Separate the bare copper wiring and the other bare metal wires from the metals with the insulation on them. If you find you have a large quantity of insulated wires, you have the option to strip these for the possibility of making more money. 3. If you’re planning on bringing electronics, remember that not all are created equal (especially computer parts). Different types of electronics range in prices. You may find computer boards, motherboards, CPU’s, hard drives, etc. Keep these separate due to the fact that some boards may be worth several times more than others. Make sure you’re knowledgeable when it comes to which boards the scrap yard accepts. 4. Be careful not to mix metals. Steel and iron can degrade other metals when mixed. If you’re unsure, use a magnet. Magnets stick to steel and iron, which makes them a ferrous metal. If the metal does not stick it’s a non-ferrous metal. There seems to be a trend in the previous stated tips…(All together now) “It’s best to separate your metals.” Separating your metals will make your trip to the yard quicker and much easier. At Upstate Metal Recycling we take great pride in taking your legally collected scrap metal. If you’re interested in recycling your own scrap, bring it to Upstate! We’ll recycle your scrap while giving you the best price in exchange! Upstate Metal Recycling will take your steel, aluminum, brass, copper, electric wire, cars, shingles, etc. You can even ‘Like’ them on Facebook for a coupon on your next visit to the yard. It’s no secret that recycling your scrap can help you make some extra cash, but do you realize the true benefits to the environment that come along with disposing of your metals the correct way? When you recycle your scrap you help to preserve natural resources and save energy. Also, you’re keeping non-biodegradable products out of the landfills, which is much healthier for the Earth. Surprisingly, recycling non-ferrous metals causes no loss of chemical or physical properties. This makes for much cleaner air. The recycling process is more convenient and safer for scrap metals such as albumin, nickel, lead, copper, etc. These metals are incredibly beneficial when it comes to the creation of new products. Plus, these non-ferrous scrap metals can be recycled over and over again. See why we should keep these products out of the landfills? Not only can they be reused an endless amount of times, but they also cut back on much needed space in the ever-growing landfills. Thanks to scrappers, the value of non-ferrous metals has increased in the past couple years. Not only has the value climbed but the amount of scrap recycled has increased to over nine million tons in 2012. Please continue to do your part to help the environment by being more conscious when it comes to recycling your scrap. Again, not only does it benefit your pocket, but it also benefits the environment! 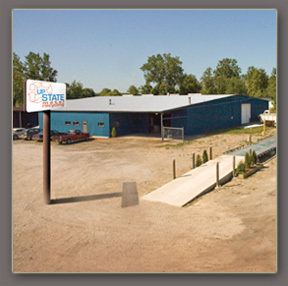 At Upstate Metal Recycling we take great pride in taking your legally collected scrap metal. If you’re interested in recycling your own scrap, bring it to Upstate! We’ll recycle your scrap while giving you the best price in exchange! Upstate Metal Recycling will take your steel, aluminum, brass, copper, electric wire, cars, shingles, etc. You can even ‘Like’ them on Facebook for a coupon on your next visit to the yard. Often when the word ‘copper’ is mentioned a mental picture of a penny comes to mind. I hate to burst your bubble but, pennies haven’t been made out of real copper since 1962. Even then the penny wasn’t fully made out of copper, it was also made with 5% zinc and tin. 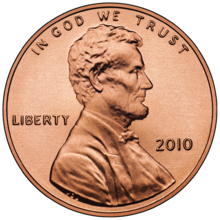 Nowadays, copper is no longer used for pennies due to the realization that it costs more to make a penny than its worth in US currency. Today’s pennies are made up of 97.5% zinc. Pretty wild! There’s quite a difference between today’s pennies and this 1937 penny. There is an estimated 140 billion total US pennies in circulation today. Of that incredibly outrageous number, even if only 10% of those pennies happen to be from the copper making era, that’s still a hefty 14 billion copper pennies. If you do that math, that’s roughly $380 million in copper profit. Hold your horses friends, although the pennies pre 1962 were primarily copper, it’s not legal to scrap them. In 1974, The Treasury Head made it illegal to melt down currency in order to gain a larger profit. Read it and weep: New rules outlaw melting pennies, nickels for profit. At Upstate Metal Recycling, we can understand the frustration caused by the inability to scrap these coins, but we can also understand the hassle if we were actually able to collect them. When taking your items to a scrap yard the items must be weighed in order to determine authenticity and the price. When brining in bags/boxes/jars of pennies, many things need to be considered. The pennies would need to be sifted through to ensure nothing was included in the mix (helping to increase the weight of the change), but also each penny would need to be individually examined to ensure that all were made no later than 1962. Even the thought is tedious! That’s not to say that one day the ban will be lifted, but for now the penny will just remain a mere collector’s hobby.